We just said goodbye to three of our team members, while six new ones have arrived this morning in Khartoum, preparing to travel up North in the next hours! I would just like to thank Jördis Vieth and Stefanie Juch for a great job out in the field at SAV1 East respectively SAV1 West! 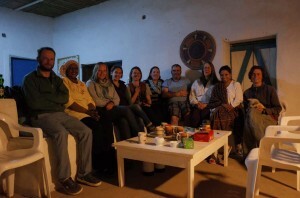 And many thanks of course to Giulia D’Ercole for her work in the last weeks – including the workshop in Kerma, photography of ceramics and first of all the sampling for INAA! As processing of the 18th Dynasty pottery from SAV1 West, 2014 season, continues, new information comes up daily! As reported, the material is closely similar to the pottery corpus from sector SAV1 North and also SAV1 East. 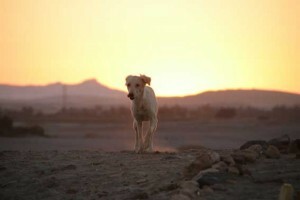 However, there are also some – maybe significant – differences. For example, the amount of Blue painted pottery is remarkable; as in SAV1 East, we do encounter a number of conical bread moulds, these have been largely missing at SAV1 North. Another intriguing group of vessels are the so-called “fish dishes”! A number of Marl clay examples were found in Square 1 at SAV1 West. This large fragment illustrates the geometric decorative pattern inside. In exactly the same style, but made in a local Nile clay, more than 10 fragments came up in the fillings of Building A at SAV1 East this season! Does this indicate a difference between our two current excavation areas? Or could it also be that my previous assumption, based on the comparison with Elephantine was completely wrong? I did speculate last year because there are more Nile silt “fish dishes” from Sai Island than Marl clay version that different from the situation in Egypt, the “real” Egyptian Marl B/E trays had been frequently reproduced in Nubia in local material. Are the new Marl dishes from SAV1 West just an accidental find? Or are they of chronological significance, maybe originating from a phase with the first “supply” of Egyptian functional wares? But how would this correspond to the findings of Nile “fish dishes” from SAV1 East which date to the heyday of Sai in the 18th Dynasty, the time of Thutmose III and Amenhotep II. It is especially this era when a lot of high quality material, including decorated Marl clay vessels, was brought to the temple town of Sai. Next week I will focus among other things on the large amount of incense burners, footed bowls and dishes with pigments, possible painter’s pots from the 2014 season. The pottery gives a nice glimpse into past activities at SAV1 West which we still have only touched on a superficial level. The first relaxed friday here on Sai Island – the perfect opportunity to remember the beauty sourrounding us, of people, animals and landscape! P.S. : I just saw that the similar post last year was from our very last week, so we’re very early this year in relaxing :-)! Nehi, Viceroy of Kush under Thutmose III, is a well-known figure of the Egyptian administration in Dynasty 18 (see e.g. Leblanc 2009). He was responsible for building several temples in Lower and Upper Nubia, also the Amun temple at Sai, located just south of our excavation area SAV1 East. My special interest for Nehi goes back to 1998 and my first participation in the joint German-Swiss mission at Elephantine. Like other officials of the Egyptian administration of Nubia, Nehi left several records and monuments in the area of the First Cataract: in particular stelae and rock inscriptions, records which I always thought have a peculiar “personal” touch – they invoke the illusion of getting close to those persons of the past, to some of their activities and thoughts, to almost grasp them as individuals. It was one of the very joyful moments of my early career when a great topic as MA thesis was proposed to me in the dig house at Elephantine. And one of the stars of this thesis was no one else than Nehi! As monument per se the unpublished object I had to deal with might not seem extremely interesting: it is a surface find from the kom of the ancient town of Elephantine, a sandstone block measuring 35 x 21 x 12 cm. It has a partly faded vertical column with hieroglyphs at its front side and can be identified as lower part of a left doorjamb (Budka 2001, 69; 107, cat. 1). Within the Egyptian settlement architecture made in mud bricks, architectural features like column bases and door elements were regularly executed in stone. The text identifies the former owner of the building to which the jamb belonged: King’s son, overseer of the southern foreign lands, Nehi! The importance of this small piece derives from its parallels – especially at Aniba and at Sai Island. Most probably these door frames belonged to administrative buildings and magazines attesting among others the adoration for king Thutmose III. Nehi as the highest official of the Nubian administration demonstrated his loyalty to the king, combining it with the worship of Egyptian gods. At Elephantine, the stone block by Nehi may attest a temporary residence for the viceroy: the island was an important site to organize expeditions to the South and to count and distribute goods and more. Further monuments by Nehi discovered at Elephantine are: a splendid sistrophorous statue JE 39749 (now kept at the Nubian Museum at Aswan) and a stela found close to the temple of Satet. On this stela only the representation of Nehi adoring Amun-Ra-Kamutef has survived – the ithyphallic god was chiseled out during the Amarna age (Dreyer 1987, 113-14, pl. 17c). What interests me most about Nehi and other officials of his time is to try to use all archaeological data available to reconstruct patterns of their past living conditions. The similarities in the architecture and stone monuments found at sites like Elephantine, Aniba and Sai Island are striking and this official line of record would propose few differences between these places. But does this picture change if we take un-inscribed records like ceramics, objects and other materials like animal bones and organic remains into consideration? A detailed assessment of the New Kingdom town of Sai and a close comparison with Elephantine might provide some answers – tracking Nehi by his inscribed monuments is one thing, trying to contextualize these records and establish aspects of their environment goes one step further. I am confident that our research within the framework of AcrossBorders will get us closer to understand the living conditions of viceroy Nehi and his contemporaries. Budka 2001 = Julia Budka. Der König an der Haustür, Die Rolle des ägyptischen Herrschers an dekorierten Türgewänden von Beamten im Neuen Reich, Vienna 2001. Dreyer 1987 = Günter Dreyer, X. Ausgewählte Kleinfunde, in Werner Kaiser et al., Stadt und Tempel von Elephantine, 13./14. Grabungsbericht, MDAIK 43, 1987, 107-114. Leblanc 2009 = Christian Leblanc 2009. Nehy, prince et premiere rapporteur du roi, in I. Regen & F. Servajan (eds. ), Verba manent, Recueil d’etudes dédiées à Dimitri Meeks par ses collègues et amis, Montpellier 2009, 241-251. We’re very happy to welcome with Daniela Wölfl a new student assistant for AcrossBorders! Daniela is studying Egyptology at the University of Vienna, finishing soon with a BA degree. Daniela has already some practice in drawing ceramics and is in general interested in archaeological documentation and the study of material culture. She will help us with digitalising our records, in particular the 1:1 ceramic drawings. As first work task, she re-organises the large data set of photographs of both objects and ceramics from our field season 2013 – not only essential for the further processing of the finds, but also a nice opportunity to get familiar with the range of materials and different types of objects coming from the New Kingdom town of Sai Island! On our way to London: Giulia, Florence and me will be attending scientific events at the British Museum, organized by our British colleagues headed by Neal Spencer. In addition, Veronica Hinterhuber, much waited-for future collaborator of AcrossBorders, will also join us on this occasion from Berlin! And I am especially happy that Huda Magzoub, our inspector from NCAM, kindly accepted an invitation as well and is already waiting for us in London! 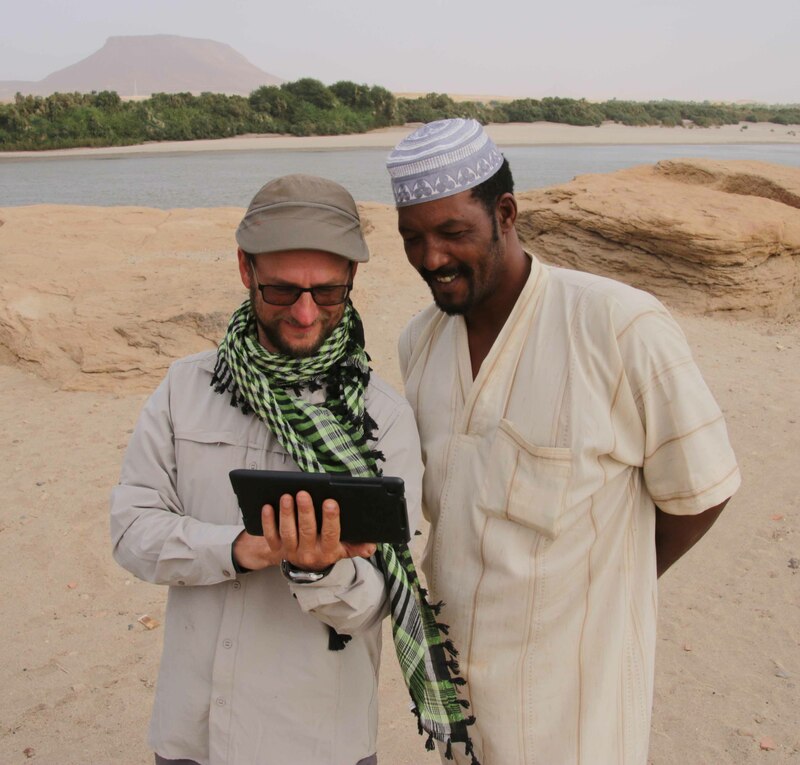 Tomorrow we will be busy with two informal workshops, bringing together scholars currently working on New Kingdom sites in Nubia as well as some other colleagues with specific expertise. Giulia will present our pottery samples and I will mainly focus on questions of the early development of Sai at the very beginning of the 18th Dynasty. 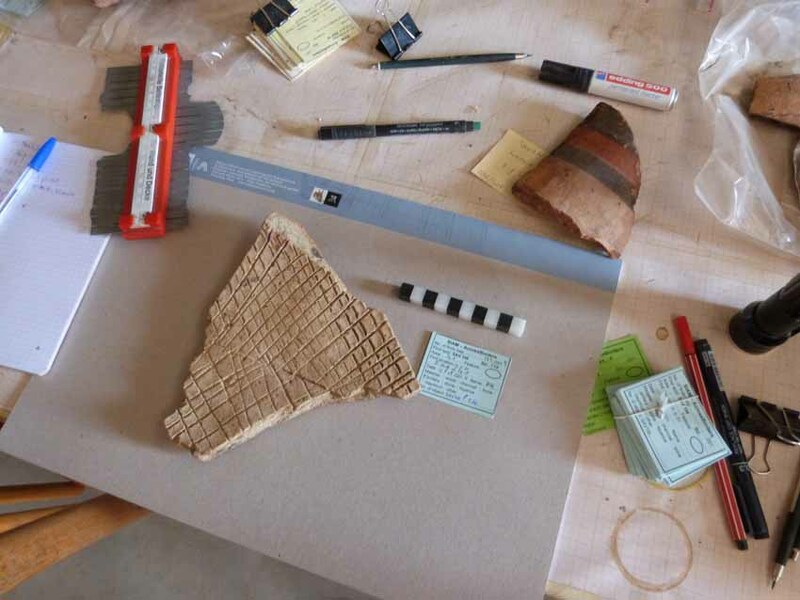 Huda has prepared a presentation on some nice New Kingdom pot sherds from the Sudan National Museum’s collection, among them an amphora from Sai with an hieratic docket. Thursday and Friday will be completely occupied by the two-day colloquium “Nubia in the New Kingdom: Lived experience, pharaonic control and local traditions” – a very rich programme focusing on new insights from the latest fieldwork at major settlements and cemeteries in Nubia. Elephantine, Aniba, Amara West, Sai, Sesebi, Dukki Gel, Tombos and other sites will be in the spotlight – temple architecture, settlements, tombs, statues, ceramics and other finds will illustrate the complex picture of the material culture and social identities at Egyptian sites in Nubia during the New Kingdom. Abstracts of the colloquium are available via the British Museum website! Heading for a long weekend in Berlin – and meeting among others Nicole and Jördis to speak about fire dogs and future activities on Sai – sentimental memories of this season at SAV1E come up! Last but not least, memories of the millions of nimiti we lived with and survived! 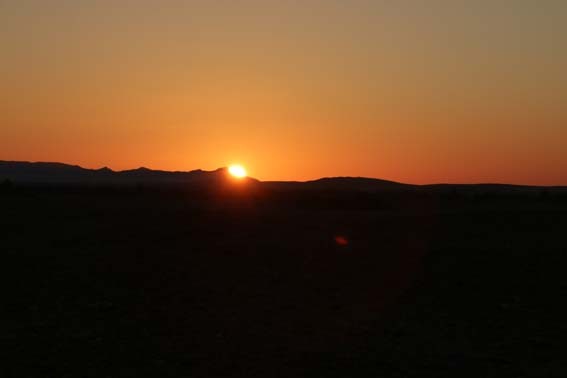 There can be no doubt any longer – our 2013 fieldseason has definitly ended, it’s time to say goodbye to Sudan, my bags are already packed for an early flight tomorrow morning to Egypt! I will spend two more weeks visiting Pharaonic sites in Upper Egypt – among others, brief visits to Abydos and Elephantine are on my list, the sites that compare in so many respects nicely with Sai Island and share a special importance in the 18th Dynasty.